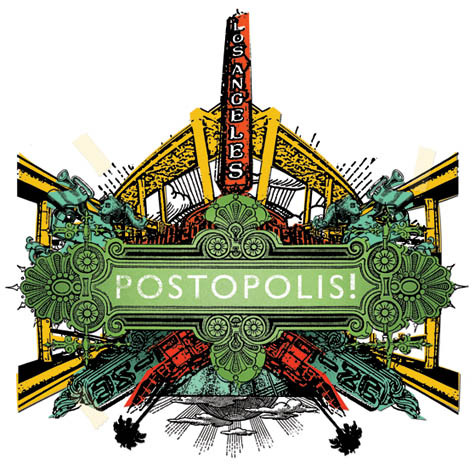 A summary of what those of us who are thinking, writing and speaking about networked urbanism seem to be seeing: fourteen essential transformations that, between them, constitute a rough map of the terrain to be discovered. 14. From consumer to constituent. [Image: Grapes, 2008, by Ai Weiwei; courtesy of Phillips de Pury & Company]. The new exhibition Ai Weiwei: Four Movements opened today in London at Phillips de Pury & Company, and it will remain on display until March 28. I'm proud to have contributed an essay to the show's catalog, alongside a text by Arthur I. Miller. My essay, "Ai Weiwei: Surgeon of Space" can be read in full online – and I have to admit that I like it! I don't often write about furniture design here on BLDGBLOG, so it was particularly fun to be able to do so. I suggest that "furniture for Ai Weiwei exists in a very interesting space, so to speak, and it comes with compelling conceptual possibilities." Furniture doesn’t just ornament a given space; it remakes and redefines the internal boundaries of the space itself. If furniture is something that breaks up space, offering punctuated moments of rest and stoppage and giving rhythm to a room, then it can also be deliberately misused. It can be contrapuntal and off-kilter, designed against the grain of the space it appears within. Furniture can interrupt, challenge, and deform. Ai’s "Furniture", subject to such interpretations, become not unlike allegories: small storylines in wood. They are narratives. "Tables at Right Angles", 1998, is really just one table that has misunderstood itself, reeling back from its own projected double. Mistaking its own eccentric solidity for the architecture that surrounds it, this table will never realize that the world it thinks it touches is just another part of itself. Of course, it would be a cliché to say that these works, thus described, are like poems – so let us instead suggest that they are screenplays: symbolically rich and heavy with implication, they have character, destiny, and tension all at once. They have drama. They can be argued about and reenacted. They have plots. 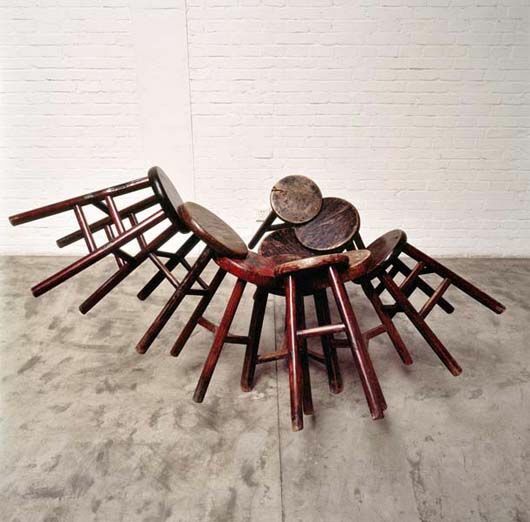 Perhaps someday we might even see a film directed by David Cronenberg – based on a table by Ai Weiwei. Check it out if you get a chance – and stop by the exhibition itself if you're in London. Meanwhile, if you're looking for more of an introduction to Ai Weiwei's work, nearly three years ago Archinect published a feature-length interview with him called "Fragments, Voids, Sections and Rings," also well worth a read. Ai Weiwei a collaboré / collabore souvent avec H&M (Herzog & De Meuron), en particulier sur le stade olympique de Pékin. Archinect and InfraNet Lab are previewing the first issue of [bracket], On Farming. Coming out Winter 2009, it's gonna be awesome. Go see. On avait parlé de cette future revue avec appel à articles derrière laquelle semble être Archinect. Le contenu annoncé des articles semble annoncer une revue aux thématiques assez expérimentales et intéressantes.